The advantage of staying on top of the latest technology trends is that your business can utilize the newest solutions designed to give your company the competitive edge. 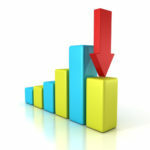 New technology makes doing business easier and increases profits. There are three hot technology trends in 2014 that you should know about. We’ve looked at two trends already, now to our third, mobile computing. 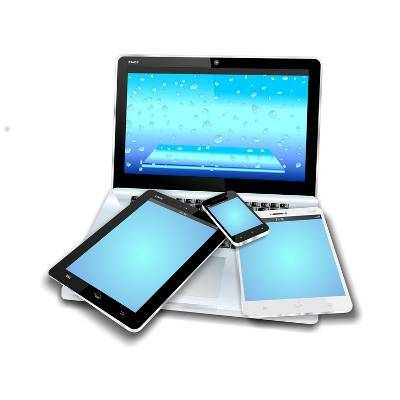 The explosion of mobile computing can be seen with the popularity of mobile devices. In the US, the majority of adults now own a smartphone. 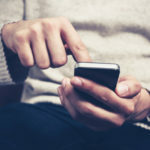 In the past, mobile devices have been primarily viewed as a consumer product, but as mobile devices become more capable of running business applications, much of the business world is now taking advantage of mobile technology. From marketing to workflow and everything in between, the mobile computing trend has huge implications for several aspects of your business. Increased productivity is one of the clearest advantages that come with mobile business technology. Thanks to mobile computing technology, no longer are employees tied to their desk. A whole new world of productivity possibilities are opened up as workers access their company’s network from anywhere with an Internet connection. Even the look of mobile computing is getting a revamp in 2014 as the trend of wearable technology becomes more popular with products like Google Glass and Samsung Galaxy Gear. Mobile devices are also improving capabilities for team communication, making tasks like file sharing and video conferencing easy. The proliferation of mobile computing will bring an increase to the number of mobile employees in the workforce. An employee working from home can save your business loads in paying for office space, and it can even boost employee morale. In addition to improved device capabilities, mobile computing is also getting better with its security. This opens up the door for your business to implement its own BYOD policy so that employees can bring to work and securely use their own favorite mobile technologies. Increased mobile security means that you can provide your employees with mobile technology and be confident that your network is protected. Before implementing mobile computing for your business, it’s a good idea to consult the technology professionals at Quikteks in order to make sure that you’re not overlooking key security measures. This is because another trend in 2014 is that hackers are stepping up their attacks on mobile technology. The key component to mobile computing is cloud computing; all of these mobile devices depend on an Internet connection to access important data stored either to the cloud or on your company’s own network. These mobile device benefits are aspect of how cloud computing can grow your business by making it more efficient. To learn more about how trends like mobile and cloud computing can help make 2014 your most profitable year ever, give Quikteks a call at PHONENUMBER. 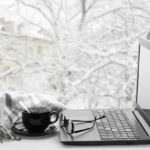 Is it OK to Leave Your Gadgets out in the Cold?